Edwin Hawkins, the four-time Grammy-winning beloved gospel composer of the chart-topping gospel-pop gem “Oh Happy Day,” passed away after a bout with pancreatic cancer at his Pleasanton home in the Bay Area on Monday, January 15 at the age of 74. Reaction of Hawkins’ death from gospel luminaries reverberated throughout social media. “Good night Edwin…rest in Power. We will see you in the morning,” wrote Yvette Flunder, a former collaborator and singer of Walter Hawkins’s Love Center Choir. Others chimed in: “My family BeBe Winans just informed me of the passing of a true gospel music legend and father of contemporary gospel music Edwin Hawkins,” urban gospel giant Fred Hammond wrote on Twitter. Those praises from Hammond aren’t an exaggeration. Born in Oakland California, Hawkins — raised in the musically-rich, Pentecostal tradition of the Church of God in Christ — emerged as one of the very first influencers of gospel pop, which later became known referred as contemporary gospel. 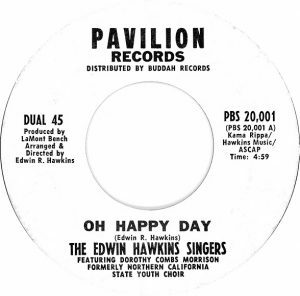 Thanks to unexpected radio magnet “Oh Happy Day,” a song recorded in 1968 by the Northern California State Youth Choir of the Church of God in Christ, Edwin Hawkins opened new doors for the gospel crossover in rock and pop sectors. 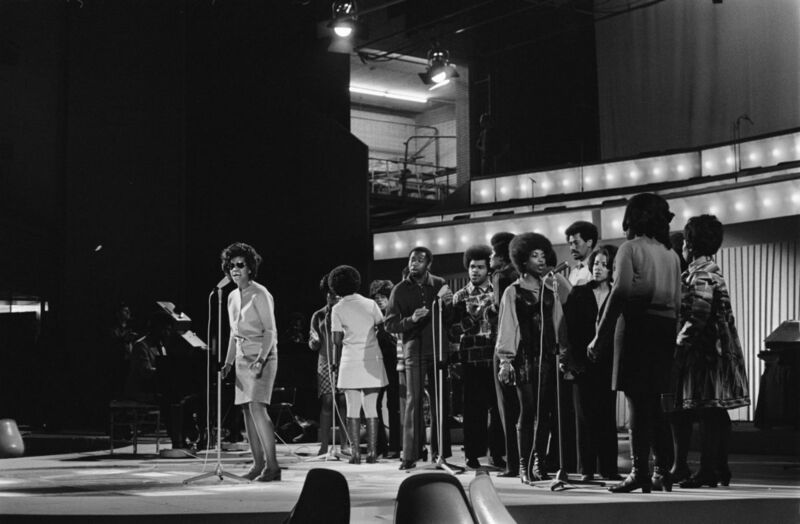 The innovative arrangement of the 18th century gospel hymn, featuring a soulful Dorothy Combs Morrison on lead, became a lightning rod on rock radio programming in Bay Area’s musical territory – an area already bubbling over with musical talent like Tower of Power, Big Brother & the Holding Company, Sly & the Family Stone, Credence Clearwater Revival, Grateful Dead and Santana. Released originally on a small private label and with only 500 copies made, Let Us Go Into the House of the Lord, the album containing “Oh Happy Day,” was quickly picked up by Buddah Records and released on the Pavilion subsidiary. Thanks to the distribution deal and a rechristened group name (The Edwin Hawkins Singers), the single rocketed to number four on the pop charts and even landed at number 2 in the UK. It sold over seven million copies, a feat unheard of in the gospel music world. 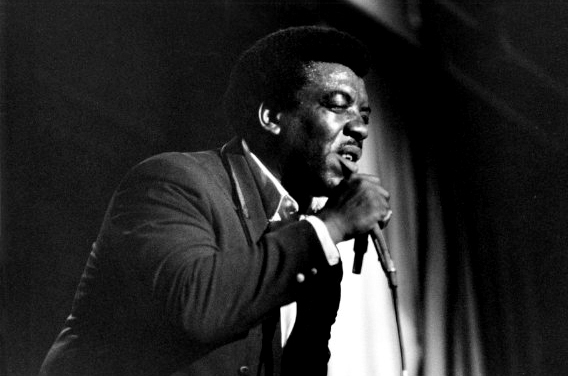 It later earned Hawkins his first Grammy for Best Soul Gospel Performance in 1970. Due to the song’s alarming success, Buddah signed the Edwin Hawkins Singers – now shrunk down to members of Hawkins’ family and keynote singers of the larger ensemble – pushed for a follow-up single. 1970’s “Lay Down (Candles in the Rain),” a track featuring Buddah recording artist Melanie, proved magical, storming to number 6 pop. It was later revived after being used in the Steve Martin-featured film Leap of Faith. After a number of national and international tours alongside heavy rock acts and 1969 appearance at Yankee Stadium with the Isley Brothers), subsequent albums done with a glossier production were recorded on the Buddah label. 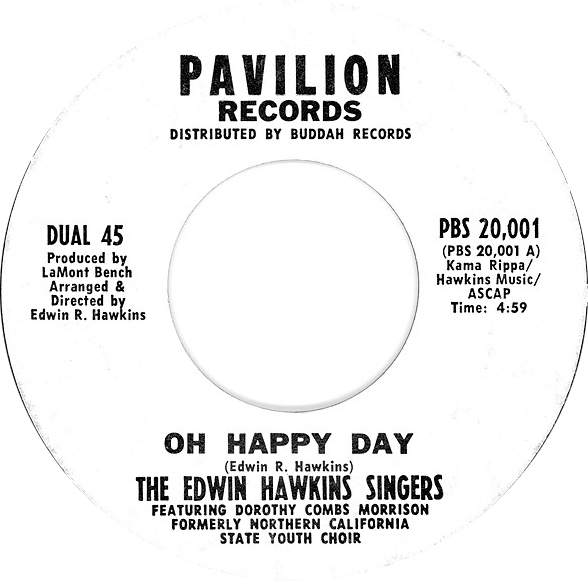 They also recorded a gospel take on Bob Dylan’s “Blowin’ in the Wind,” but Hawkins struggled to duplicate the success of what had been coined by some critics as their ‘novelty hit.’ By the mid-‘70’s, Buddah dropped the Hawkins Singers act, pushing Edwin to record on the Birthright label, an upstart label that focused on contemporary gospel. There he netted a Grammy win for Best Contemporary Soul Gospel Performance for 1976’s Wonderful!, a disc also featuring the Edwin Hawkins Singers. Edwin’s family would dominate the front end of the contemporary gospel sound for decades to come, thanks to his brother Walter who recorded and led the best-selling Love Alive series. 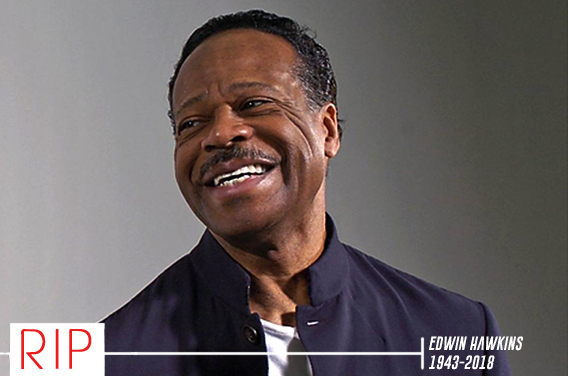 In 1982, Edwin would uphold his legacy after establishing the yearly-held Edwin Hawkins Music & Arts Seminar, a gospel learning platform to help tutor the next generation of gospel singers what had been regulated as the “Hawkins” sound. Through this new foundation, a powerful league of gospel talent (made up of Daryl Coley, LaShun Pace, Lawrence Matthews and keyboardist/songwriter Kevin Bond) was introduced. It wasn’t the first of its kind, nor was it the largest. The Thomas Dorsey-organized National Convention of Choirs and Choruses and James Cleveland’s 20,000-strong Gospel Music Workshop of America beat Hawkins to the punch. But Hawkins’s younger band showcased a choral beauty and fitness that stunned the competition. Along the way, Edwin served alongside Walter on many of those recordings, even appearing on duets with Walter on 1982’s “Heaven” and the Love Alive V majestic gospel standard “Marvelous.” Edwin also served as minister of music for years at Walter’s church. 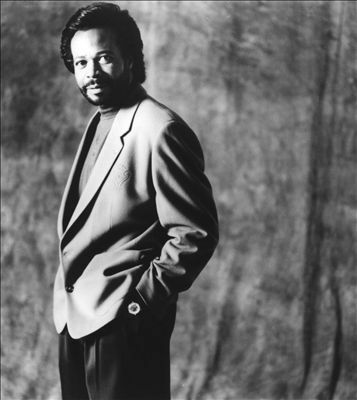 Through Walter’s recordings and Edwin’s very own seminar, the songbook of Edwin Hawkins is clearly identified and fully embraced by choirmasters Songs like “Imagine Heaven,” “He’s Alright with Me,” “To My Father’s House,” “God Will Take Care of You,” “Angels Will Be Singing,” Give Us Peace” and the poignant “This Day” (a song performed regularly in concert by Whitney Houston *see video below*) are considered some of Hawkins’s most treasured compositions. But it will forever be “Oh Happy Day,” a fifty-year-old track globally revived in the Sister Act 2 soundtrack and now seen as the golden standard of gospel music in Europe, Japan and a host of other countries, that will be forever remembered as his greatest contribution to the universe. On December 12, Hawkins made one of his last public performances at the Holiday Soul Christmas program alongside CeCe Winans at the Oakland Interfaith Church before falling ill.
Hawkins is survived by three sisters Lynette (Hawkins-Stephens), Carol (Kemp), Feddie (Smith) and brother Daniel, all former or current members of the Hawkins Family. Hawkins’s popular brother, Walter, passed away after a battle with pancreatic cancer back in 2010.